I was pretty amused when I saw this story about Pitt's logo being stolen. Obviously Pitt is fully within their rights to go after this school. 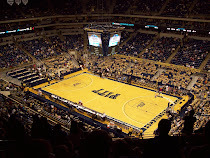 Colleges such as Pitt pay thousands of dollars for the creation of logos. No school or entity has the right to then take something that's been paid for, and use it as their own - even if said entity is merely a high school and likely only profiting very little from use of the logo. That said, I hope they donate that horrible logo to the school and vow to never use it again. Everybody would win. 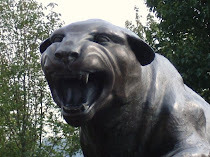 Are we talking about the Walt Harris era Panther/Pit Bull head?